If you want to pass the dispatcher interview questions you need to make certain that you are physically and mentally prepared. The interview won’t take more than an hour, but a lot of things can and will happen in that time span. For this reason, you need to prepare in advance, otherwise your application might be rejected. The key to passing begins before the interview as Interview Questions and Answers.biz points out. Make sure that you arrive 15 to 30 minutes early, and don’t forget your manners regardless who you meet there, because the way you act towards these people will be reported back to the panel that will interview you. It is hard to emphasize how important making a good first impression is, as it is up there with your speech and words. While you’re waiting for your turn, take deep breaths and relax. If you’re still not sure, you should follow this guide at Jobinterview.net first. Before the interview begins, shake hands with everyone and make eye contact. During the course of the interview, maintain eye contact with whoever is asking questions and address them by their title and last name. Q: How did you prepare for this job? A: What I did for my preparation was attending a public safety career class. I also participated in the Citizen’s Academy, and I have worked with various officers as well. These experiences provided me with insights on how police officers from different agencies collaborate and how dispatchers should handle calls. There are many other questions that may be asked such as the following, so you should prepare for them. Have you faced a challenging situation before? How did you handle it? What are your career accomplishments and awards? How do you assess situations and respond when new data arrives? 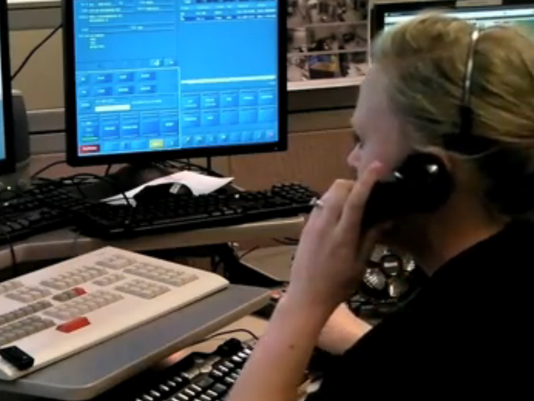 How does your experience, training or education relate to the job of a police dispatcher? Do you have multitasking capabilities? In addition you may be asked stress questions like. What issue would you tackle first if you were President? Tell us a good joke. What question were you praying we would not ask? These are some of the questions that you will be asked, and while there are many ways to answer them, the best method is still the one that Dispatch Online Magazine suggests, which is to be honest. Don’t make something up just to sound impressive, and instead just tell the panel the truth. Would you inform your superiors if a coworker came to work smelling of alcohol? The answer should be yes, because the rule of law covers everyone, including friends and coworkers. You got a domestic violence call involving a police officer. What will you do? The answer should be to alert the authorities like any other domestic violence incident. In addition to these questions, you will also be asked how to react to various scenarios, and in many cases there are no right or wrong answers here, and all the panel is interested in is learning how your thought processes work. There are three things you need to remember: be honest, credible and show confidence, without being arrogant. Furthermore, you won’t just be judged by your answers but the way you conduct yourself. During the interview, you need to emphasize that you are a team player, can get along with other people and can multitask easily. You also need to show the board panel that you can think quickly and make decisions. Aside from conveying a positive impression and answering questions, you should not hesitate to ask questions. In fact, it’s a good idea to ask questions since it shows that you are interested in the job. Some of the questions that you may want to ask during the course of the interview are the following. What are the priorities of the dispatcher in this agency? What are the biggest challenges that someone in this position will face? What agencies do you interact with and in what ways? What specific qualities are you searching for? There are a few more things you need to look out for during the interview. For one thing, eye contact has to be maintained during the interview, and second, your appearance has to be professional. You also need to hold your end during the conversation, because poor communication skills won’t help you get hired. In addition to these, you can’t come off sounding like a know-it-all, and instead you must show respect to the people that are interviewing you. As you can see, learning how to become a police dispatcher is not going to be easy. However, you can give yourself a hand by getting the Dispatcher Interview e-book. With this guide you’ll learn the hidden questions that these board panels ask, how to offer attention grabbing answers and the clue that will tell you what the panel thinks of the answers you gave.